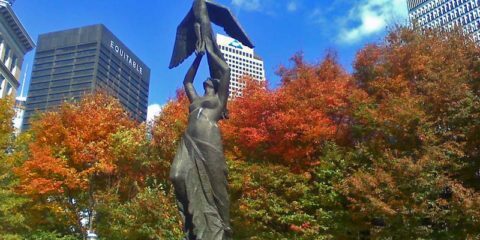 This 21-feet bronze and marble statue depicts a woman being lifted from flames by a phoenix in flight and is allegorical in nature, symbolizing Atlanta’s rebirth after a devastating fire during the Civil War in 1864. 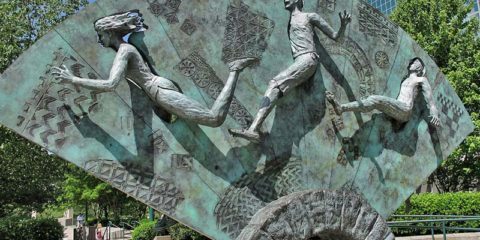 In the northwest corner of the Centennial Olympic Park, this fan-shaped, eight ton sculpture was commissioned for the 1996 Summer Olympics in Atlanta, commemorating the 100th anniversary of the modern games. 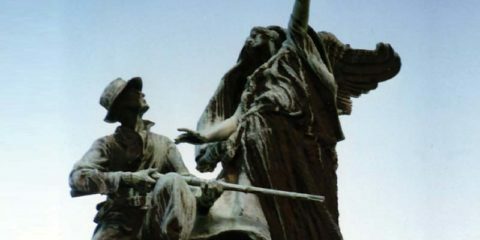 This statue represents the moment the Angel of Peace – with an olive branch in her left hand – appears before a Confederate soldier preparing to fire his gun. The Angel has come to proclaim peace between North and South. 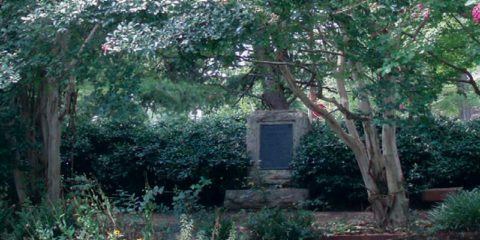 The stone reads, “The Elm and Crepe Myrtle trees in this park and on these thoroughfares were planted and dedicated by The Atlanta Woman’s Club as a Living Memorial to our great statesman Woodrow Wilson, President of the United States, March 4, 1913 – March 4, 1921, Commander In Chief of his country during the Great World War. 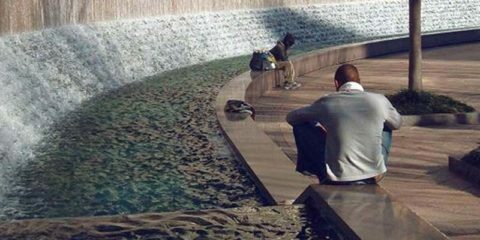 Advocate of permanent world peace through a League of Nations based upon the brotherhood of mankind. 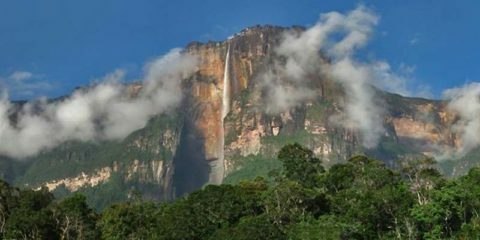 Angel Falls in Canaima National Park, Venezuela, is the tallest waterfall in the world! 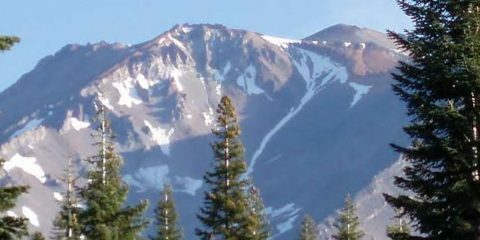 It drops almost one kilometer from its table-top mountain “tepui”. 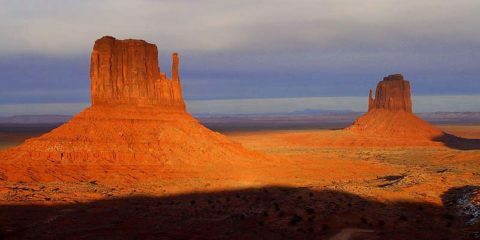 Monument Valley is a sacred valley of the Navajo Nation. It is located in Utah, and is a Navajo Tribal Park. 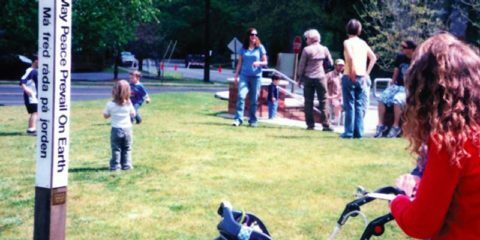 nitially the park was created by private citizens who wanted to honor MLK to have a place for conversation, but using the King family name was going to cost money and getting approval caused many delays, so the community called for something else. 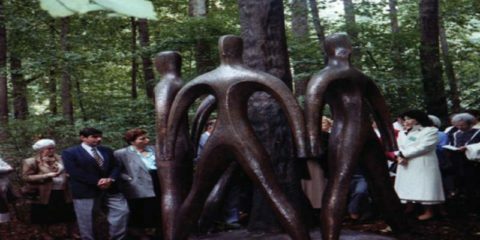 When the children of the Republic of Georgia were visiting Atlanta in 1989, a Revolution took place in Tibilisi, the capital. 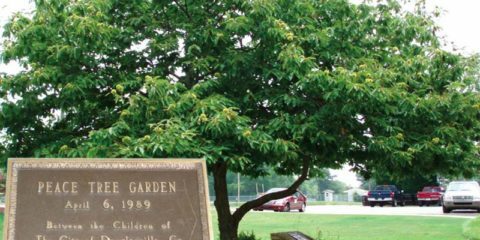 With the support of the Mayor of Douglasville, Charlie Camp, we were able to comfort the children by planting a Peace Tree in Hunter Park.